Last night after I wrote the blog about Man of Steel I pulled up 1982's Star Trek II on Netflix. I actually own the Blu-ray but I wanted to watch in bed. That's the very definition of laziness. Anyway, I've had this movie on my mind since Star Trek Into Darkness came out a few weeks ago (for those of you who have not seen it, run to the cinema and come back-- spoilers will follow). You have been warned! Last chance! Both of these Star Trek movies at their core deal with relationships, especially the one between Kirk and Spock. In Into Darkness the relationship is still in its infancy; in Kahn Kirk and Spock have been flying the galaxy for fifteen years! 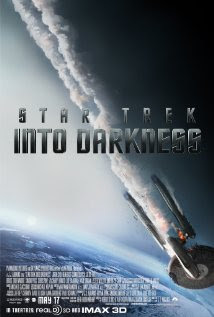 At the beginning of Into Darkness Kirk violates one of the fundamental rules of Star Fleet, the Prime Directive, in order to save Spock's life. Spock includes this in his official report of the mission, and Kirk loses his command. This makes Kirk crazy: "You don't stab friends in the back." Throughout the rest of the movie, which features a new version of the same villain Kahn, Spock and Kirk try to grow together in their friendship. Just like Star Trek II, there is a scene when one of this pair gives his life for the ship's safety. In an homage to the 1982 film, the present Spock and Kirk rehash some of the same dialogue and movements from the earlier film. It's beautifully done. David Marcus: "Saavik [a junior officer] was right. You have never faced death." Kirk: "Not like this, no." Marcus: "You once told her that how we face death is as important as how we face life." Kirk: "Those were just words." Marcus: "Yes, but good words. You should listen to them." As emotional as the event of Spock's death was-- and is-- I tear up everytime I watch that scene-- these subsequent scenes help us address our grief with honesty and introspection. It's much more than what we expect from a sci-fi action movie. The new movie, which I liked very much-- takes us in a different direction, and I think it is a mistake. As shocking as it must have been for Trekkies to witness Spock die (I was only 11 so I can't say for sure), to see Kirk die this time around would be mind-blowing. But there is no time for eloquent reflection and intimate conversations about the nature of death and grief. Kahn still has not been caught. Spock must leave his dead friend to fight the bad guy. During the fight, Dr McCoy discovers some of Kahn's blood injected into a dead tribble brings it back to life. We know from the prologue of the movie that Kahn's blood caused a young girl to survive a deadly disease. Upon Kahn's capture McCoy transfuses Kirk with Kahn's blood and Kirk is revived. From a cinematic/storytelling perspective, I believe it was a mistake to bring Kirk back. Don't let us off the hook so easily. Give us respect enough to deal with our grief and seek out our own answers. Each of us will one day face the moment Kirk did in the movie, and we spend enough time, stress, dollars and whatever other resources we can muster to deny it or put it off. Some have even argued that folk invented religion to deal with our fear of death. For Christians, we hear the words of Jesus: "I am the Resurrection and the Life. Whoever lives in me will never die" (John 11:25). Those words are not fearful-- they are hopeful. They give us strength and courage. Part of the real privilege of being a pastor is sharing exactly the same kind of moments with folk Spock and Kirk share in both of these movies-- the fear, the questions, the joy, the anticipation. 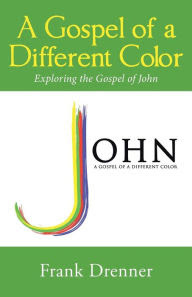 Those conversations solidify relationships between pastor and parishioner, but also between friends. You may be struggling with the loss of a loved one, a medical diagnosis that scares you, or just have questions of your own mortality. It's an easy subject to run from, but thankfully God sends us spiritual friends, who may or may not be family, co-workers, part of your family of faith, whatever. I'd encourage you to seek out a trusted person in your life and embrace your grief and fear-- let God change your heart to peace and joy through faith. By the end of Into Darkness, even if it lets us off the emotional hook, Kirk and Spock know, respect, and love each other much more than before. Maybe the director JJ Abrams and others remembered the fiasco that followed Star Trek II, Star Trek III, and its quest to bring back Spock from the dead and said, "Forget it, let's bring Kirk back in the same movie!" Maybe they spared us a lot of frustration. That's something to be grateful for. Like I said, this Star Trek series is great-- I've seen Into Darkness twice and enjoyed it very much-- when we want to embrace the emotional impact of life and death ("How we face death is as important as how we face life") we can check out Wrath of Kahn. You know everything was better in the 80s anyway!